The culture of ignorance of spiritual matters outweighs Christian culture in every country on earth. I’ve made this observation over the years as I’ve talked with people from all walks of life and from many different countries. Am I, a proponent of Christ in culture admitting defeat? God forbid! Christian culture will win out in the end, but it will take a complete restructuring of society as we know it. That’s what the book of the Revelation of Jesus Christ is all about. The world has to be turned upside down, literally and spiritually, before people will wake up and focus on that which is really important — the Kingdom of God on earth. 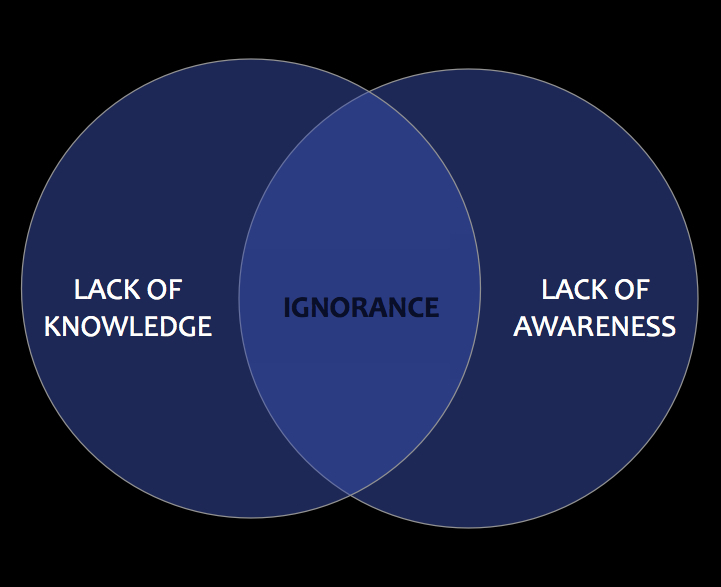 In the diagram above, ignorance is shown as the result of lack of awareness and lack of knowledge. Does the Bible say anything about these things? Hosea 4:6 My people are destroyed for lack of knowledge: because you have rejected knowledge, I will also reject you, that you shall be no priest to me: because you have forgotten the law of your God, I will also forget your children. Wow. That’s quite a pronouncement. Does God want His children to have knowledge? Of course he does. Knowledge is the foundation of all we think and act upon. 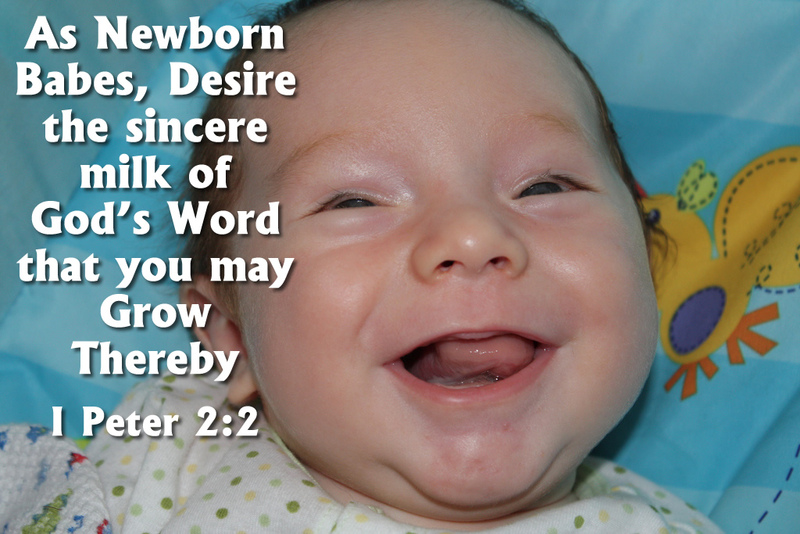 I Peter 2:2 As newborn babes, desire the pure milk of the word, that you may grow thereby. II Peter 3:18 But grow in grace, and in the knowledge of our Lord and Savior Jesus Christ. To him be glory both now and forever. Amen. Knowledge is good, but the ultimate goal is wisdom. Knowledge applied is wisdom. You can’t be wise without knowledge but you can be knowledgeable and still be unwise. Wisdom is knowledge applied, and wisdom is the principal thing to seek. Proverbs 4:7 Wisdom is the principal thing; therefore get wisdom: and with all your getting get understanding. Knowledge give s us the information we need but understanding it is required to apply it. We gain wisdom by applying the knowledge we receive and understand. Is the Bible a Collection of Passed Down Stories? Gosh, I’m so thankful he provided me with that invaluable information. I guess I’ve spent 10 years of doing nothing but word studies in God’s Word in total futility. The past 30 years or so of my life during which I’ve pursued truth with all my heart was just a waste of time because those books in the Bible are just passed down stories that everybody knows are not inspired from God anyway. This is the culture of ignorance I experience on a daily, yes daily basis. Let’s see what God says about His Word. Psalm 138:2 I will worship toward your holy temple, and praise your name for your lovingkindness and for your truth: for you have magnified your word above all your name. I could go on and on listing these little gems, but can you see what God thinks about His Word? Jesus says it’s the Word of Truth too! When ignorant people come to God’s Word sincerely, they receive the Word with meekness and bring forth fruit, according to his or her God-given ability. Mark 4:20 And these are they who are sown on good ground; such as hear the word, and receive it, and bring forth fruit, some thirtyfold, some sixty, and some a hundred. And what about the faith “you gotta have” since we can’t trust the Bible? Let’s see what God’s Word says about faith. Hmmm… we have to “have faith” because we can’t really trust the Bible is from God — but the very Word of God says faith comes from the Word itself! God imparts faith to us as we learn His Word of truth and that is why I Peter 2:2 says to “desire the sincere milk of God’s Word that you may grow thereby.” Can it be any plainer? The choice is yours to stay ignorant or to seek God through His Word and wise up. Ignorance is not an excuse when the knowledge of God is so freely available. We can’t blame God for our lack of knowledge when He’s supplied it abundantly for us. If you want the wisdom of God in your life, you need the knowledge of God and you need to understand it. Then you can walk in wisdom and radiate the glory of the Creator of the universe! God’s Word is a treasure-trove of knowledge. It’s a tapestry of truth. It’s inexhaustible. yes, there are differences of opinions about everything in God’s Word and there are bitter debates raging all the time. All those debates and differences of opinion are due to one thing — not letting God’s Word interpret itself to us. We bring in our own interpretations and that’s where the problem lies. All these questions and differences can be overcome by meekly coming to God’s Word and letting it explain itself. There are no contradictions in God’s Word when we let it explain itself to us. God is perfect and so is His Word. He magnified it above His name. Don’t you think He authored it (1) to be understood by mankind and (2) he preserved it throughout the generations. How would you treat something so important that you ‘magnified it above” your name? I think you’d preserve it too. But the culture of ignorance says God’s Word isn’t really God’s Word — it’s a collection of stories passed from person to person and generation to generation so it’s full of myths, contradictions and cannot be trusted. God’s Word says God gave His Word by “inspiration” through the spirit and that it is indeed understandable and it imparts faith to those who study it and believe it. The choice my friend is yours. Will you embrace God’s Word or deny it? Will you come to culture of truth — Christian culture — or will you stay in the culture of ignorance. You know which side I’m on. I’d love to meet you some day on the side of the truth. Today the culture of ignorance dominates every country on earth however in the world to come there will be no ignorance whatsoever. You’re invited! Answer the call.